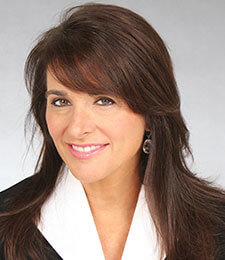 As Goldberg, Miller & Rubin’s first female CEO, Lori Miller is one of the region’s top litigators with a distinguished career specializing in bad faith, auto and general liability cases with a specialty of health system liability defense. Her unmatched dedication has earned her the reputation as a strategic and aggressive negotiator who has an unbridled dedication in fighting to defend her client’s best interests. For almost 30 years, Lori has earned the respect of the legal community, including plaintiffs’ attorneys, arbitrators, and judges, for her expertise, professionalism and most importantly her unparalleled client relationships. Whether she is representing the area’s top health system in a premises liability case, defending clients in commercial litigation, counseling an insurance company facing allegations of bad faith, or litigating a major injury automobile or under-insured motorist case, Lori is able to call on her extensive experience and interpersonal skills to win trials and obtain excellent results for her clients. She does this while promoting cost-effective matter resolution. When taking on a new case, Lori recognizes that the initial investigation is crucial in determining an effective defense strategy. To that end, she looks at each case individually and takes a hands-on approach to investigating each matter. Lori has the ability to not only identify and comprehend complex legal issues, but to explain these issues in an easily digestible way – making her an invaluable asset to risk management professionals and an appealing litigator to jurors. As one of the leading bad faith defense attorneys in the area, Lori has obtained dismissal of extra-contractual allegations resulting in early resolution of countless cases. She has had numerous favorable state and federal court rulings on behalf of insurance companies in complex cases including orders to compel the deposition of plaintiff’s counsel, protective orders prohibiting the deposition of a corporate designee and orders dismissing claim representatives in the early pleadings stage. Lori’s record in hospital liability cases is unparalleled as she has developed the skills to thoroughly investigate and litigate these matters. Whether she is dealing with the president of a health system or the employee responsible for maintenance, Lori has the skill to connect with everyone working at the business she is defending to obtain the information she needs to put on the most effective defense. Over the years she has earned the trust of hospital risk management professionals and in-house attorneys at various businesses who regularly bring her in early on a claim to develop the proper defense strategy from day one. Many clients, trade groups and professional associations frequently request that Lori share her skills and experience in educational workshops on risk management, motor vehicle law, general liability law and other insurance topics. As a leading female attorney, Lori has helped to develop a firm comprised of almost 50% women lawyers leading the way for women in the workforce. She is focused on creating a firm culture that allows women to have it all, by achieving in the workplace as well as at home, through hard work and dedication. She has been a leader in changing firm policy to encourage the home/work life balance, while never losing the aggressive and strong work product that GMR is known for. Lori has trained a dedicated team of attorneys who exemplify her commitment to professional, passionate and aggressive representation of her clients in both federal and state court. The growing success of Lori’s team of litigators has led to exponential growth over the past five years, with the firm becoming one of the largest civil defense firms in the region. 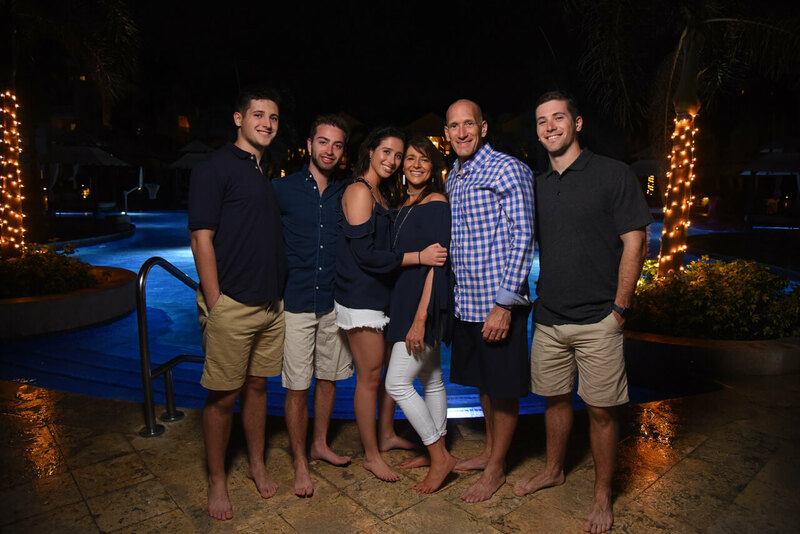 When she is not busy defending her clients and mentoring the future attorneys of her firm, Lori is passionate about being a wife and mother to four children. She also enjoys yoga, travel, the beach, and keeping up with the latest hit television shows. Defense verdict in Eastern District Federal Court in a UIM/Bad Faith case. Defense verdict in Philadelphia County Motor Vehicle jury trial in which plaintiff/bicyclist hit by a car sustained significant injuries requiring several months’ hospital stay with extensive permanent injuries. Preliminary Objections granted in Philadelphia County case dismissing all counts of Statutory Bad Faith, violations of the Unfair Trade Practices and Consumer Protection Law, and Breach of Contract counts against a claim representative handling an uninsured motorist claim. Defense verdict in Montgomery County motor vehicle trial in which the jury found the defendant negligent but did not believe that the plaintiff’s cervical and lumbar herniations were causally related to the accident. Motion to Compel Plaintiff’s counsel’s deposition granted in UIM/Bad Faith case Eastern District of Pennsylvania. Motion for Protective Order granted thereby precluding plaintiff from taking of Corporate Designee in bad faith case, Eastern District. Summary Judgement for hospital in a death case where the plaintiff allegedly tripped and fell over a parking curb. Claim of negligent parking garage design and construction. Defense verdict in Bucks County for homeowners accused of failing to disclose and covering up multiple defects in their home. Eastern District 12(b)(6) Motion to Dismiss granted disposing of bad faith claim where there was a dispute over the value of a UIM claim. Goldberg, Miller and Rubin Auto Claims Seminar, “Auto Law Update”, 2014.